When most people hear about online business, the first thing that comes to mind is the exotic lifestyle. You can work anywhere in the world in your own time. You can get literally anything you want from any part of the world. To be honest, these are dreams of so many of us. What a majority of people fail to realize is that it takes a lot to build a successful online business. Most of the worldwide renowned business people and entrepreneurs have faced failure, uncertainty, doubt, despair and many more. 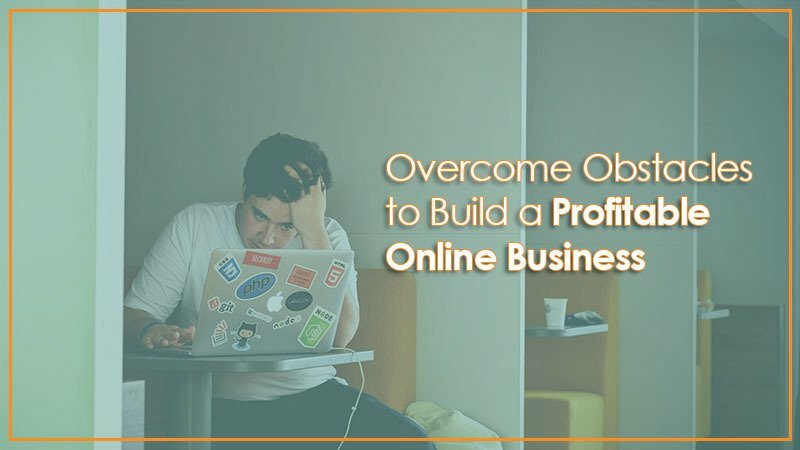 If you’re thinking of building a profitable online business, you’ll most certainly face your own collection of challenges. But this isn’t a bad thing because you can overcome them. This article will be an eye-opener for all of you thinking or trying to build a profitable online business. What are some of the obstacles you will face? How do I overcome these obstacles and building my online dream business? Before we offer a solution, we must first try to find the problem. Some of these obstacles are physical others are psychological. I’m not guaranteeing that you’ll face these specific obstacles. 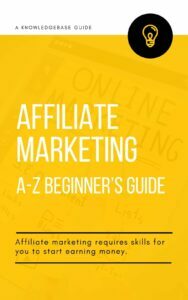 I’m just giving you a general picture of some of the things you may face as you build your online business. When you’re planning on building an online business, you have to abandon what you have going on currently. It can be a career or dreams like traveling all over the world. If you have a family, you need to come to terms with the fact that you’ll not be there every single day for activities like school plays. You’ll need to be fully dedicated to this business. As you think of building your online business you’ll keep asking yourself some really intense questions. A few of them may be. Will this business thrive in the long run? Will I get any financial rewards from it? What will my customers think of me or my business? What do I do when I’ll face legal issues? [clickToTweet tweet=”Just like any other business, getting cash for starting an online business is hard!” quote=”Just like any other business, getting cash for starting an online business is hard!”] This, of course, won’t be a major problem if you’ve saved up enough money. Even if you have, you’ll need some extra money for emergencies. You may have to consider investors. They’re not easy to find or consider either. You may need to take a loan from friends or the bank. If you think you think you can build and run a profitable online business on your own, go for it. If you feel like you need people around you, you need to consider getting skilled and experienced employees. You need to identify exactly who you need. You need to consider how much money you’ll be paying them. You need to carefully choose the right characters and personalities depending on your business. This is probably the most difficult obstacle yet. You’ll have to spend every day/minute trying to make a decision that you think will be good for your business. You’ll be fatigued mentally and physically trying to decide on the small and the big issues of your business. You may also have to spend more time working compared to your employees. You’ll probably be scared that if you don’t work twice as hard or if you’re not there, the business will fail. You’ll try to solve every problem and come up with a solution for every issue. This is the most important section of this article. The following points will help you get over doubt, fear or failure. You need to acknowledge that you’re not the first one to venture into online business. There are many people out there who began and are doing exceptionally well. All these people went through many uncertainties too. They all have unique stories. So if you’re going through an obstacle, don’t self-destruct and sabotage your success. It may give you some peace of mind if you read stories of people who have successful online businesses. Building an online business is very involving. You don’t really need the time to start considering everyone’s opinion. You’ll start feeling inadequate and you’ll start doubting yourself and your business. Also, you don’t really have to please everyone. Do what you feel is right for you and your business. It’s good to have long-term goals. They give you a sense of where you want to be in future. With online businesses, you need to set short-term goals. With those big goals you may have, you may start doubting yourself and your business. This is because you will not be able to attain them immediately. If you set short-term goals and achieve them, you’ll get more motivated. You’ll also have something to brag about yourself or your family. As you build your online business, you’ll have to make decisions every time. For this to happen, you need to be very decisive. You don’t need to be uncertain about anything. Always trust your gut feeling. In most cases, it’s usually right. If however, in the long run, the decision you initially made doesn’t work, you can always change to one that will help the situation. Money is an important part of an online business. You, therefore, need to use it wisely and sparingly. When you start buying those lavish things for yourself before you online business gets traction, you may end up regretting it. You should save as much as you can and spend as little as possible. If you’re extravagant, you may need to consider getting someone who you’ll always answer to like a financial advisor or investors. If you’re thinking of having employees you may need to consider spending a little more time selecting them. Not everyone who applies for a job is qualified to work for you. You need to consider their educational background and their professional experiences. Research on them, find out what they stand for from their social media pages. If your online business will have sensitive information, you may need to do a background check. You also need to consider their personalities and their characters. You also need to think about how much money you’ll be paying them. It should be enough to motivate them to continue working for you. It’s guaranteed that uncertainty will creep into your mind especially when things aren’t going well for you. It will be helpful if you keep track of all the successes you’ve had. They will always be a reminder that you’re not wasting your life or your time. Your successes will also be a motivation to keep going. They will help you dwell on the positives and not think about the negatives you’re facing. A few ideas of successes can be: highest sales, new investors, new partnerships, awards received and many more. If you thought that you’ll build your online business on your own, you’re so wrong. You need people around you. It’s very comforting to know that if something goes wrong with the business, you can always count on someone to encourage you. You may also need to have someone who will motivate you when you’re getting lazy. You may also need to have someone who will positively criticize you when you make certain decisions. With the right people around you, you can always seek feedback from them when you’re planning something big or if you’re facing a problem. You should, however, stay away from people who always discourage you, bring you down, are always negative and those pessimistic about your business. Your personal identity makes you who you are. But you should know that it won’t dictate your success. For example, you may be a planner. You like having things in a certain way. This may be projected onto your online business. When you fail to achieve or realize some of these plans, you’ll start feeling like a failure. You should know that whether you take months/years planning for your business, there will always be an issue. Mistakes are guaranteed to happen. People may let you down. You may not have enough customers. You can, however, use all these mistakes and blunders as a stepping stone to develop yourself and your skills. Building a profitable online business is impossible without security. Every little or major activity for your business has to be safe. You’ll face online attackers and hackers. How exactly have you taken care of this? How do you plan on protecting yourself and your business? You have to back up your customer data, online payments, employee details and every activity your online business is involved with. Your customers and employees also have to feel safe. You, therefore, have to invest in your hosting. Find a server that offers exceptional security 24/7 to host your website on. A lot of people start online businesses, a lot! Only a few stand out from the rest and actually succeed. This is through marketing and advertising. When you’re publicizing your online business, you need to think of your customers. What language will they easily understand? How will you capture their attention? What exactly is your online business? What makes you unique from other business in your category? Once you’ve realized these two aspects you can go ahead and spread the word. Do a lot of research before you settle on any marketing and advertising plan. Get all of your facts right and ensure they are credible. The best way to publicize your online business is through digital marketing and advertising. Utilize social media tools to your advantage. Find out what ways will get the word out there about your online business. As you build your online business, don’t let fear dictate your decisions or even your personal life. Always think of the worst things that would happen if you made a leap towards something. Never be afraid to take risks. If you have failed in one aspect of your life, embrace it like a champ and keep going. Always remember why you started your business in the first place. You’re going to be overwhelmed as you build a profitable online business. Your positive and negative thoughts will always be going on a cycle. You’ll also try to juggle many things at once. With all these, you may start self-destructing slowly. You’ll also be tired. Once your body and mind are fatigued, it will start projecting onto your business. This is the reason you need a distraction. You need to unwind, relax and refigure yourself out once a while. Don’t let your business run your life. You can decide to start exercising, watch movies, go to the beach, hang out with friends and family, go hiking and many more. Find that one or more things that will quench the negative thoughts and pessimism before you get too consumed. An online business engulfs both your professional and personal life. You, therefore, have to find a balance otherwise one side will suffer. The obstacles you face as you build your online business are mostly in the mind. You have to find a way to always keep your mind at ease. Keep encouraging, motivating and inspiring yourself. You’ll also need to be stronger and wiser. Don’t let people or obstacles bring you down. If you still feel like you can’t really overcome obstacles as you build a profitable business, you can always do more research. Find ways that will effectively help you overcome every challenge.